OMG Posters! » Archive "Skull" Art Print by The Last Moon - OMG Posters! The Last Moon is a new collaboration between Paul Rentler and Lonny Hurley (who is always great). 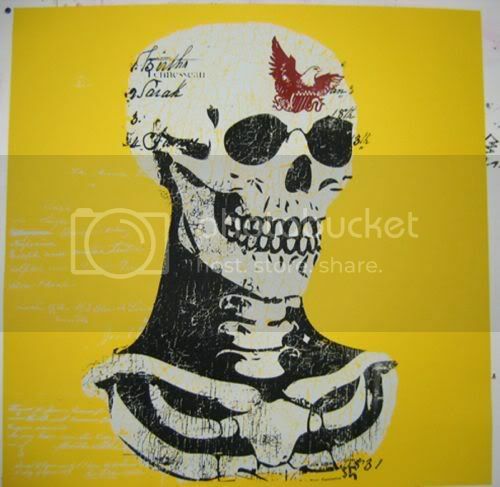 Their new “Skull” art print is a 25″ x 25″ screenprint, has an edition of only 20, and is $40. Expect to see alot of cool stuff from these guys in the future. Grab one in the Gigposters.com Classifieds.